We put five in a gauze bag for my daughter's wedding favors. My daughter is marrying into a very large Italian family. Some of whom speak no english so we have tried to incorporate some Italian traditions. The Italian Amorini Hearts were not only great for that reason they also tasted great. They aren't a true heart shape though so if your looking for that, this isn't for you. We put them in our favor boxes and they were perfect. GREAT TO DECORATE COOKIE PLATTERS ETC., PUT ON WEDDING FAVORS OR EAT JUST AS THEY ARE FOR A SWEET TREAT. Amorini remind me of candy my Dad brought home from the North End, of Boston, years ago. My siblings and I love the flavor, we are so happy you sell them. I mixed these with the Amorini Hearts and placed inside the luggage tin wedding favors. Big hit with my guests. An added tasty treat to my party favor package. A big hit!!! I put the almonds in a velum envelope and then used them as place cards.... yummy and cute! it was easy, no time to get out and shop. Not my first choice! I prefer healthy choices. But great in a pinch! I used these to fill in the jars for my wedding. They were a hit! We used the jordan almonds in the spirit of my husband's Greek traditions. It was great inside each of the wedding favor boxes. All the almonds were clean, well shaped and perfect! Q:How many are they (more or less) in a 9 oz. box? A:1 ounce = 9 jordan almods, so 9 ounce bag is ~ 81 per bag. A:1 ounce = 9, so 9 ounce bag is ~ 81 per bag. Q:Hi - I am throwing a surprising party for approx 40 people and want to know if I should get the 90 oz bag or 120? If I should get 120 where is the link for that? A:The jordan almonds are only available in 9 oz. bags. Q:approximately how many candies are in the 9 ounces? A:In a 9 ounce bag, there are approximately 80 almonds. For the 14 ounce bag, you can expect approximately 120 almonds. My question is I'm going to Punta Cana, for my wedding is going to be on the beach, if i bring this jordan Almonds for my favor you thing there going to be ok, because you know the Sun there going to be in a little box on the Restaurant in fron on the beach. 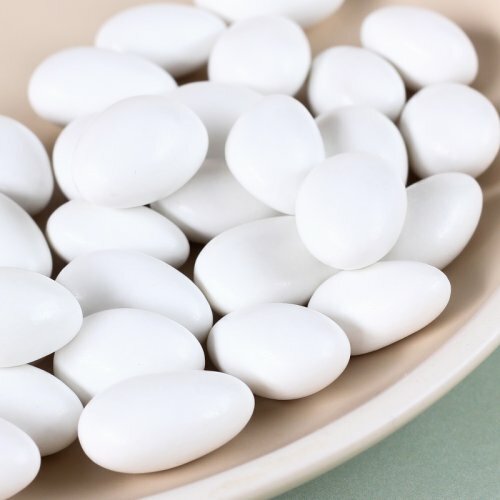 A:We would recommend keeping the jordan almonds in a cool dark place and only keep them outdoors for a minimal amount of time if it is warm. 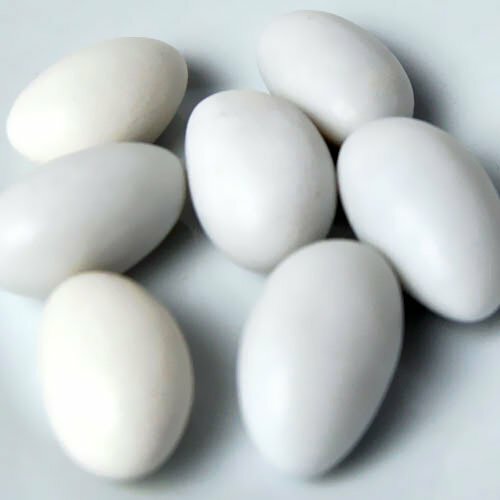 Traditionally wedding candy, Jordan almonds have become favorites for filling favor boxes for all types of special occasions. 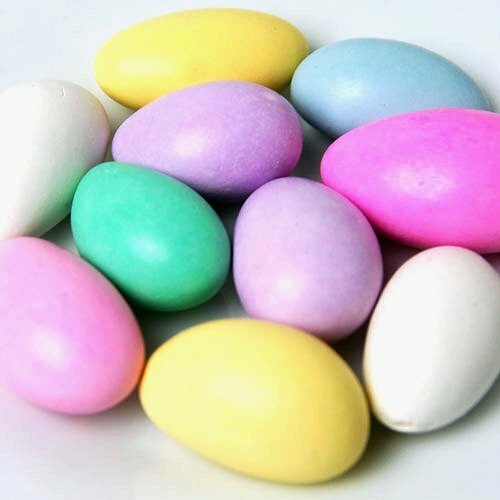 Jordan almonds are almonds coated in a hard candy shell given to symbolize both the bitter and sweet things in life.